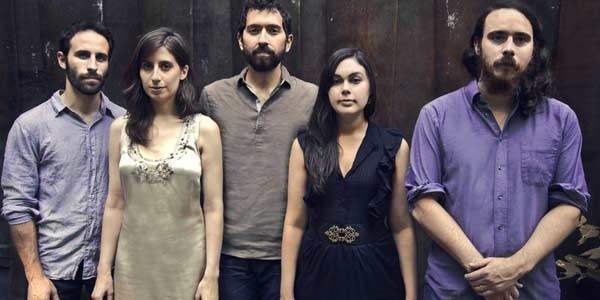 Brooklyn folk five-piece The Loom has written its call to arms and it could not arrive at our eardrums in a finer hour of malcontent. The swell of human occupation on business and market boulevards is stirring the voice back into the people. We aren't quite shouting “we're mad as hell and we're not going to take it anymore” from our windows, just yet, but protest that makes headlines is as good a start as any. Whether The Loom”s intent in “For The Hooves That Gallop…” was political or not, the presence of a colonial metaphor conjures the patriotic curriculum of our fabled history. Folk music coasted on self-loathing, binge drinking and meek hearts in a decade of depression, corruption and war, as though there weren't bigger problems than your dog dying under the porch. There's no finer hour to change the conversation. Let's hope The Loom's “For The Hooves That Gallop…” is the beginning of a new discourse in folk. The Loom's Teeth is out November 1 on Crossbill Records.